What first comes to mind when thinking of the Air Jordan XI is probably patent leather materialization. But what about some XIs that have been stripped of the shiny material and replaced with a synthetic drape? Here we get a look at just that with this sample set of the AJ XI. No patent leather here, JB goes with nubuck all over the Bred-style Js. 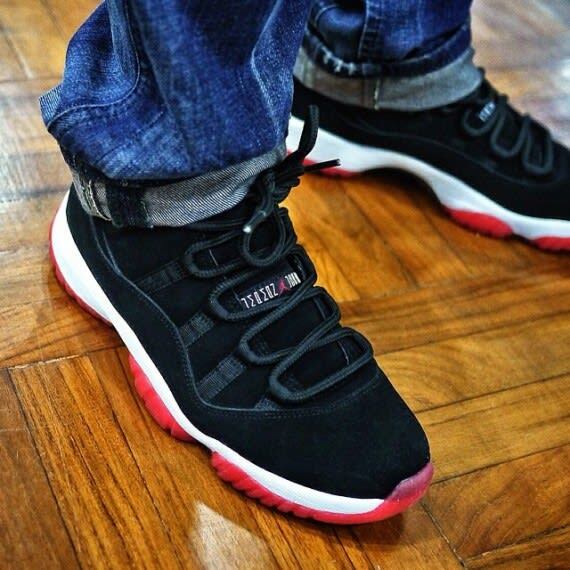 Would you like to see Jordan Brand release XIs minus the patent leather spread? Let us know after getting a look at the nubuck iteration above.